Frontier Airlines has announced the addition of Mobile, Alabama to the Frontier network. 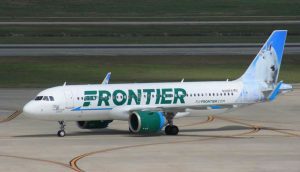 Frontier will offer non-stop service to Denver International and Chicago O’Hare International Airport. Introductory one way fares will start as low as $39. Frontier has worked hand and hand with the Mobile Airport Authority to bring the citizens of Mobile and surrounding areas in Mississippi, Baldwin County, and Florida first class service. Flights will start May 1st 2019 from the Downtown Airport at Brookley Airfield. Frontier flies more than 80 Airbus A320 jets. Frontier services over 100 cities in the United States, Canada, Dominican Republic, and Mexico with 350 daily flights.